Benadryl, generically know as Diphenhydramine Hydrochloride, is used to treat many forms of allergies. People have nasal allergies, itching from rashes and hives, irritated eyes and scratchy throats. Benadryl is an antihistamine that works by blocking the release of histamine that is released by the body tissues during an allergic attack. Antihistamines are great to quell these annoying symptoms, however there are side effects of Benadryl allergy relief that patients need to become aware of. Before using Benadryl make sure to tell your doctor if you suffer from narrow-angle glaucoma, enlarged prostrate or trouble urinating, stomach problems including ulcers, high blood pressure, thyroid disorders, and asthma. There are also medications that should not be taken along with Benadryl, such as sedatives, sleeping aids, other central nervous system (CNS) depressants, and alcohol because Diphenhydramine will intensify the sedating effects of these drugs. The most common side effect of Benadryl is drowsiness and weakness. If for any reason you experience extreme drowsiness, faintness or lightheadedness, clumsiness or unsteadiness, call your doctor immediately. Older adults are especially sensitive to the sedating effects of the anticholinergic effects of antihistamines such as Benadryl. Because of this drying effect, patients may suffer with constipation, dry mouth, decreased sweating, and trouble urinating, especially men with enlarged prostrates. 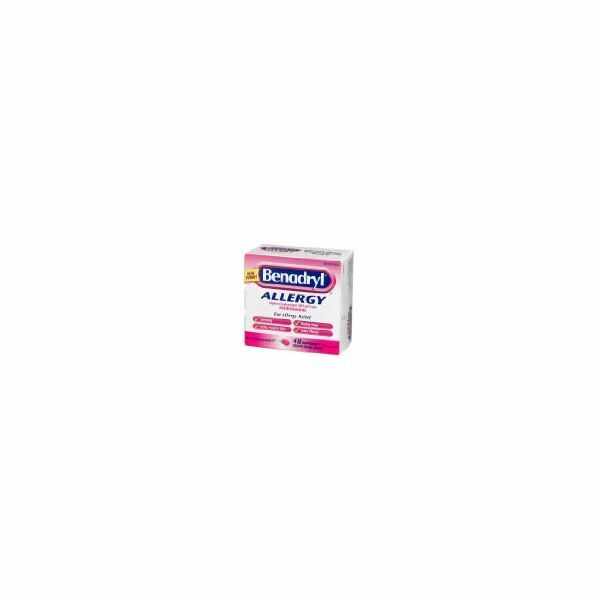 Benadryl has a tendency to cause stomach issues including heartburn and indigestion. Some patients will have nausea, with or without vomiting, and appetite loss. Constipation is common, but some people will have diarrhea instead. Patients with asthma are cautioned when using antihistamines such as Benadryl. Asthma is synonymous with a tight chest and wheezing and the use of antihistamines can dry up mucus secretions to the extent that the chest becomes tighter and makes asthma worse. Before using this product check with your doctor before using Benadryl. As most people complain of drowsiness when using Benadryl, others get too excited and feel side effects such as restlessness, nervousness, shakiness, or irritability. Medications can affect people in opposite ways. Do not use more of this product or a higher dose than is prescribed by your doctor or on the package directions. Until you know how you react to Benadryl do not drive or operate machinery. The drowsiness or dizziness can damper your alertness. If pregnant, do not use Benadryl without talking with your doctor. Antihistamines may cause severe reactions to unborn babies. Small amounts of antihistamines pass into breast milk, so make sure to discuss any safety issues that may affect your newborn with your doctor. Allergies are miserable and you may run to grab a product to stop your symptoms, however the side effects of Benadryl allergy relief are matters that must be discussed with your doctor and together decide if this product is the right one for you.